Years after a disturbing incident changes his life, a man finally tells the story of what happened to him and his brother in Hurley’s tension-filled debut. Growing up with a strict Catholic mother, the two boys learn a version of fire-and-brimstone faith that is tested each year when the family and some other members of the church, including the local priest, travel to the remote Lancashire coast around Easter. The older boy, Hanny, has mental disabilities and refuses to talk, and his younger brother, the narrator, is one of the few who can communicate with him and who looks out for him, accepting him for who he is. Their mother hopes for a miracle every year that will “cure” Hanny, and she forces the whole group to fast and pray in hopes that he will begin to speak. Their last journey to the coast, when the boys are in their mid- and late teens, coincides with the death of the old priest and the hiring of a young, new one. At the Easter in question, the group is met by unfriendly locals, and soon they are hearing and seeing strange things in the woods, compounded by the arrival of a glamorous, mysterious family in the “big house” that lies beyond the Loney, a stretch of beach that sits underwater during high tides. The unforgiving landscape is a major point of the novel; its danger and isolation not only endanger the boys, but also emphasize the sense of dread that permeates every page. The weakness of the novel is the narrative voice: the narrator, speaking in flashback, describes the loneliness and horror very clearly, but the reader never gets a good sense of who he is. 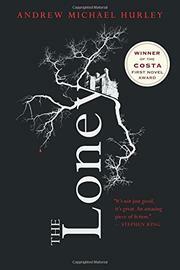 Mysterious and bleak, atmospheric and creepy—but, ironically, the novel lacks soul.